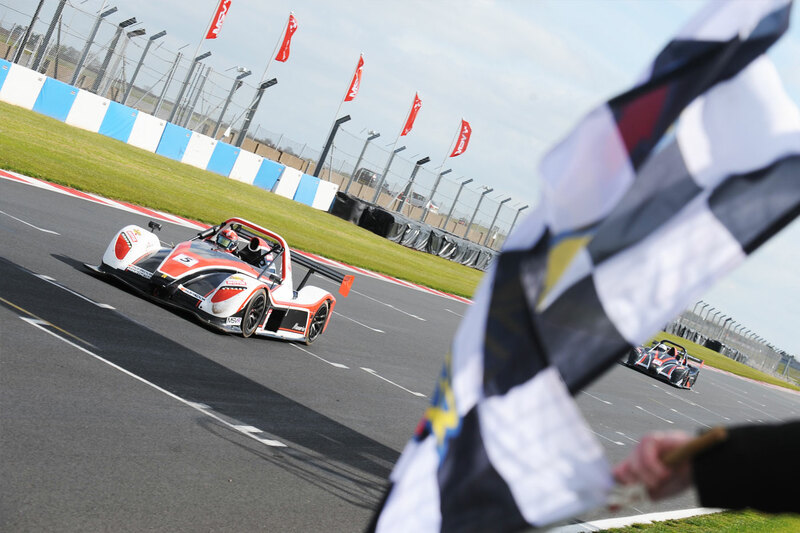 360 Racing dominated the podium at Donington Park’s opening Radical Challenge rounds. 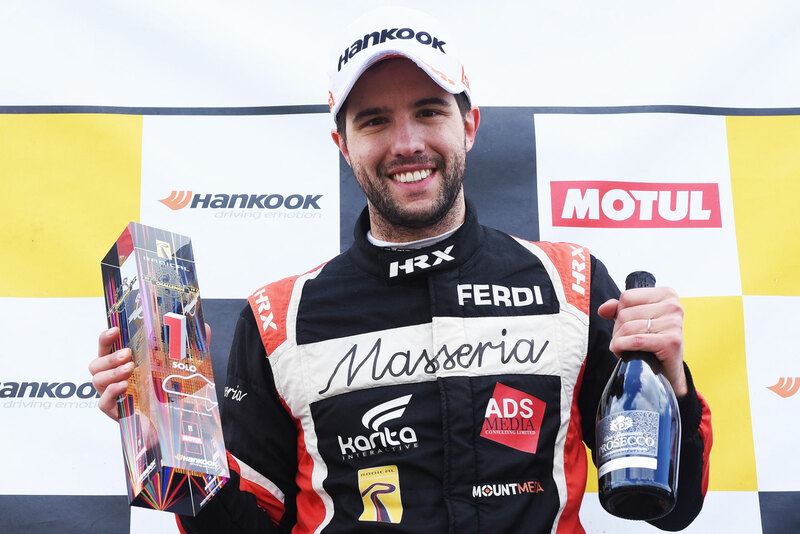 Jerome De Sadeleer had qualified on pole for the opening race, but from the start went side by side with defending Champion Dominik Jackson. Jackson just managed to get ahead into the chicane, as the safety car came out at the end of the opening lap. After six laps the green flag was waved, but it was De Sadeleer’s 360 teammate Mark Richards who shot into second at Redgate, after the young Swiss had slipped to fifth. Richards retained a solid second until the pit stop window opened, De Sadeleer having clawed his way back to third. While Jackson proved to be out of reach on this occasion, De Sadeleer got closer and closer to Richards and on lap 27 was back into second place, which he retained to the flag. “I was overdriving after the green flag and couldn’t get things to work. I really had to work hard to get Mark too,” De Sadeleer explained. “I had a good start and still feel there is more to come in the car, but I oversteered at Coppice and it gave Jerome a run on me into the chicane,” Richards replied. Jason Rishover had recovered well from a delay on the opening lap, but an off at Coppice in the closing laps left him classified in 13th. “I was going for John Macleod and it washed out on me, then I touched the grass and was off,” he said. Peter Tyler also ran inside the top 10 early on, until a split in the manifold ended his race prematurely. There was a safety car again at the start of the second race, but De Sadeleer had converted pole to an early lead on this occasion, with Richards tucked in third again. Jackson was the pursuer again, he managed to shake-off Richards who retained a comfortable third, but De Sadeleer stayed out of reach for the duration to record his opening win of the season. “That was exactly what I had planned for race one, a good start, got away and managed the gap,” said De Sadeleer. “I lost a few seconds at the start and then seemed to just hold the gap,” Richards added. Tyler managed to hold onto a worthy eighth despite only having 95 per cent throttle, but Rishover pitted early to retire. 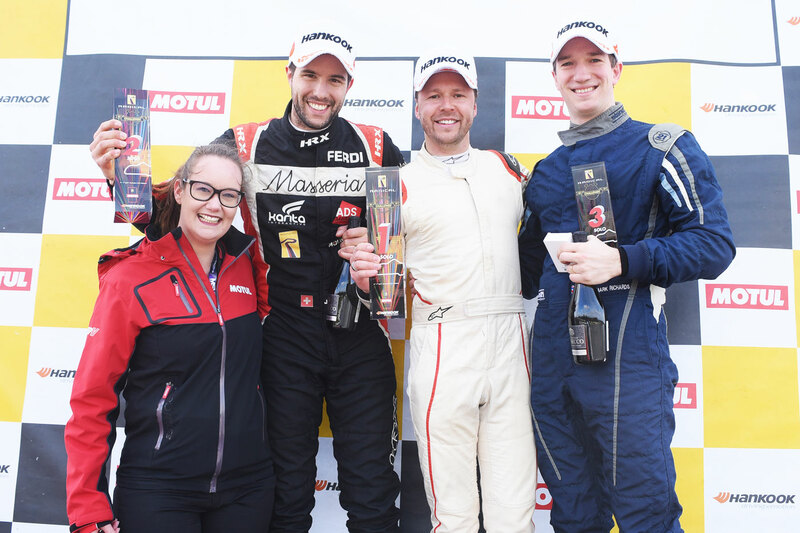 It was De Sadeleer to the fore again at the start of the third and final race of the weekend, but there was no happy ending for Richards this time around. “There was no contact it just broke away from me,” he said after vacating fifth in the chicane gravel trap on the opening lap. Jackson was once again threatening for the lead, but De Sadeleer’s defence held firm until lap 12. “It was a good start and I managed to gap him at first,” De Sadeleer explained. But a slight hesitation at Coppice gave Jackson the opportunity to challenge into the chicane, which he took with both hands. “If I hadn’t given that up, there would have been contact,” he admitted. But a second-half track limit penalty left De Sadeleer with an even bigger fight on his hands. He climbed back to second on track with 11 laps to go, but the penalty dropped him back to third behind Jac Constable in the final result. Rishover also ran well to hold seventh from lap 31, after a great duel with Rod Goodman, while Tyler was just behind them in a hard fought ninth. The Silverstone-based team will be back in Radical action with the SR1 Cup at Oulton Park on April 20th.